MYSTERY. 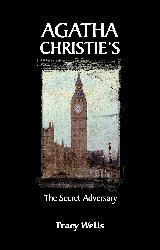 Adapted from the novel by Agatha Christie. WWI has ended and Tommy, a former soldier, and Tuppence, a former Army nurse, are out of work and money. The two decide to hire themselves out as adventurers willing to do anything and go anywhere with no unreasonable offer refused. The duo is soon hired by a British Intelligence agent to find a missing American woman, recover an important treaty, and discover the true identity of the mysterious “Mr. Brown.” While on the trail, the intrepid pair becomes enmeshed in a thrilling adventure filled with intrigue, deception, double-crossing, and harrowing escapes as they pursue their elusive secret adversary.